The current debate about whether it is feasible to have a grid that runs on 100% renewable energy in the coming decades often overlooks a key point: many countries and regions are already 100% or very close to it. 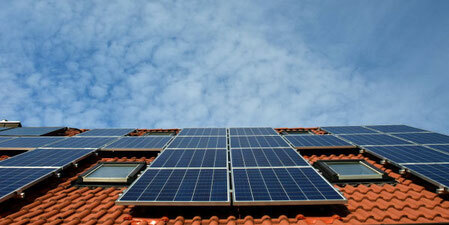 The main sources of renewable energy in these countries are hydroelectric, wind, geothermal and solar. A new international study, which belies many myths about renewable energy, points out that many large highly populated regions are "100% or more", including the German regions Mecklenburg-Vorpommern and Schleswig-Hostein, the South Island of New Zealand and the Danish island of Samsø. In Canada, both Quebec and British Columbia have almost 100% renewable energy. Last summer, the Chinese news agency Xinhua reported that "Qinghai Province has just operated for seven consecutive days entirely with renewable energy ... only wind, solar and hydroelectric". This was part of a test conducted by the State Grid Corporation of the country to show in a practical way a post-fossil fuel future. 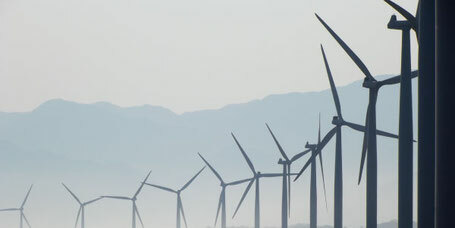 Bloomberg New Energy Finance (BNEF) has projected that by 2040, the German network will have almost 75% renewable penetration, Mexico will have more than 80% and Brazil and Italy will exceed 95%. When making the forecast BNEF did not analyze what could theoretically happen by mid-century if the countries pressed as much as required by the Paris Climate Agreement, but the simple evolution of energy business during the next two decades. The pumping hydroelectric power plant is by far the most widely used electricity storage system in the world. Water is pumped from a reservoir at a lower level to one at a higher level when there is excess electricity or when electricity can be generated at low cost. Then, during a period of high demand for electricity (and price), the water in the upper reservoir passes through the turbines of the hydroelectric plant to produce electricity for immediate sale. The 2012 report on the hydropower technology roadmap of the International Energy Agency stated that "the capacity to generate energy by pumping would be multiplied by a factor of 3 to 5 by the year 2050." The US Department of Energy, for its part, has projected that "domestic hydroelectric power could grow from 101 gigawatts to almost 150 gigawatts of combined electricity generation and storage capacity by 2050." And the pumping hydroelectric is just one of the many strategies to integrate more renewable energies into the network. In 2016, NOAA researchers concluded that only with "improvements in transmission infrastructure" using existing technology, "the United States could cut greenhouse gas emissions from energy production by up to 78% below the levels of 1990 within 15 years and satisfy even greater demand". The study of the power grid of Energy Secretary Rick Perry 2017 discovered that "smart charging" electric vehicles can be another renewable integration strategy: "An aggregate fleet of vehicles or loaders can act as a response resource to demand , changing the load in response to price signals or operational needs; For example, the vehicle's load could be changed in the middle of the day to absorb high levels of solar generation and move away from the afternoon hours when the solar generation disappears and the net load of the system reaches its peak". In the coming years, emerging and existing technologies will work together to bring about an ever deeper penetration of carbon-free energy in the network. The only question is no longer "yes" but feasible "when". How much can you save with a more energy efficient home?